Once reserved for the bare-armed boyband members of the 90s, the gilet has come in from the cold and experienced a style resurgence in recent years. Lighter in padding and slimmer in fit than its 90s counterparts, the modern man’s gilet has a versatility that is capable of blurring the line between the months of ‘slight chill in the air’ and ‘can’t feel my fingers’. As we bask in the balmy temperatures of another Indian summer, we’re taking advantage of an extra week or two to get our winter wardrobes in check, starting with a master of the layering game and a transitional wear wonder. Sports luxe peaked a couple of seasons ago but our activewear obsession never really went away. The gilet is a great way to introduce a sportier aesthetic to more formal looks, all you need is the confidence to carry it off. Merge form and function, office and off-duty, and you’ll be rewarded with a look that will keep you cosy on the commute, without sacrificing any style points. Worn beneath a blazer, the gilet takes on the role of a waistcoat, layering up without disturbing the overall line of your outfit. Worn over a blazer, it tones down the business side of an ensemble effortlessly. Top tip – Whether worn inside your blazer or outside, your gilet should be an inch or two shorter than your jacket and all other layers should be kept plain and simple. The window between early autumn and mid-winter is when the gilet comes into its own. No jacket is a no-no, a coat is too much, a gilet…well that is just right, as Goldilocks might say. It is the ultimate answer to the transitional coat conundrum. Just as you would when reaching for a gilet through the working week, keep the cut close to the body and the padding light if you’re to avoid adding extra pounds we’d rather reserve for the run up to Christmas. With that simple rule in mind, the gilet can work for all off-duty occasions. Layer with sweatshirts and jogging bottoms for your laziest days, over fine-knit jumpers and chinos for Sunday roasts in country pubs, and over chunky roll necks and jeans on winter walks when the temperatures really start to plummet. Top tip – Avoid wearing a black gilet with an all black outfit unless you are especially keen to attract SWAT team comparisons! 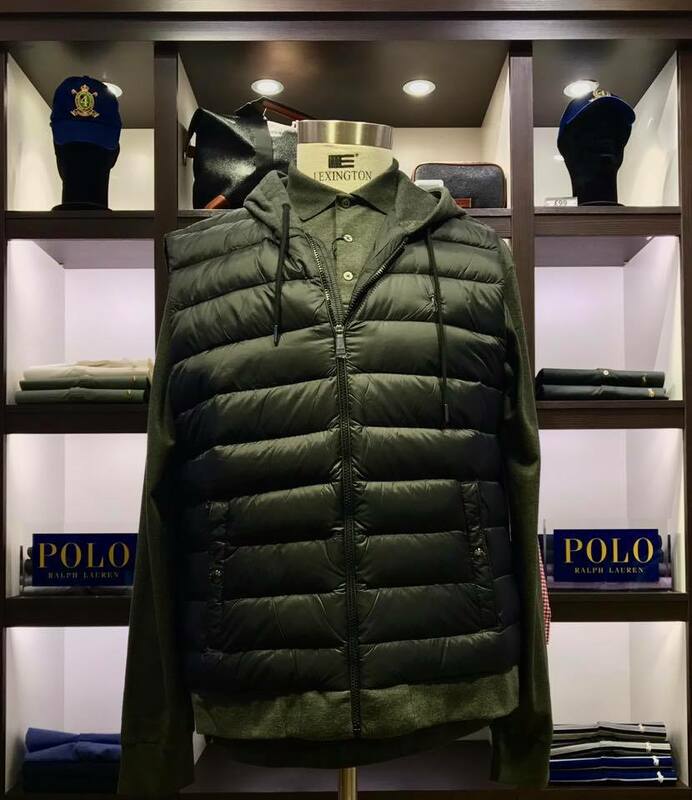 Layer up for autumn/winter with a brand new gilet from Ralph Lauren, available in store now at Robinsons. Visit us 7 days a week at DN10 6JH.